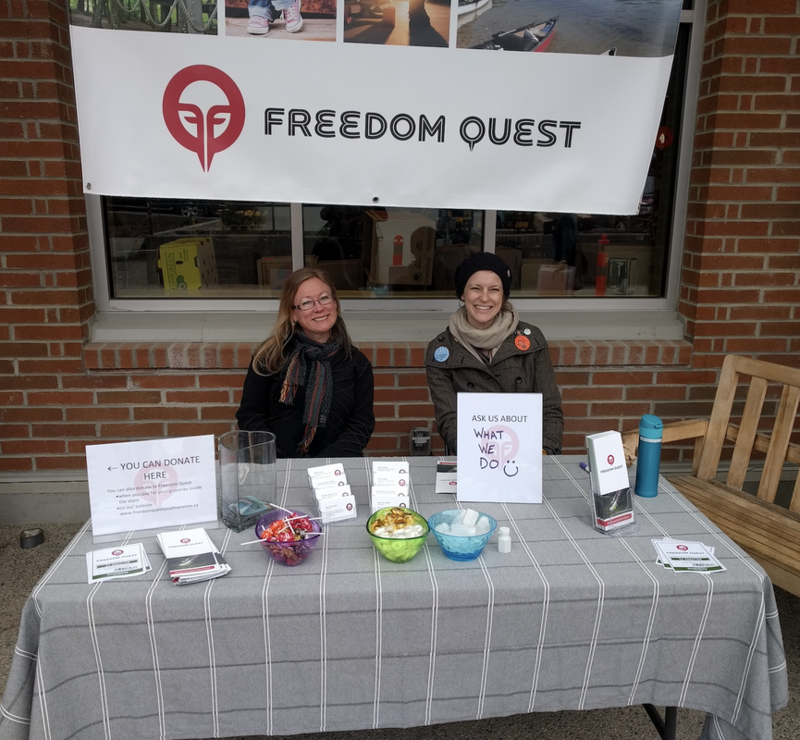 Freedom Quest has been providing free, community-based, client-centered, low-barrier, confidential, voluntary, and non-judgmental services and programming to youth & families who have been negatively impacted by substance use in the West Kootenay Boundary Region. Freedom Quest’s services and programming support young people & their families in experiencing new opportunities, overcoming barriers, preventing further adversity, building positive relationships, and developing the confidence and skills for life. News! Freedom Quest is organization-of-the-month this April at the Kootenay Co-op in Nelson! You may see some of us Freedom Quest'ers out at the Co-op this April hosting a table, answering questions, providing information about our services & programming, and accepting donations. You can also donate to Freedom Quest at the til or right here on our website! Hope to see you there! Don't miss the co-op's case lot sale April 3-9. Check it out! Right: Holly (Grand Forks Youth Substance Use Counsellor) & Malorie (Board Member) hosting our table at the Kootenay Co-op on April 5th, 2019!